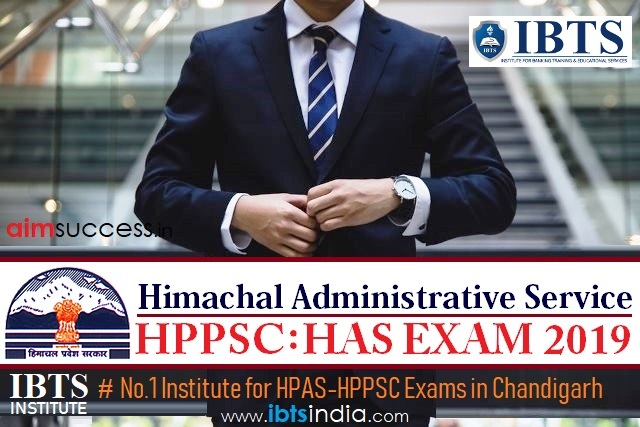 Himachal Administrative Service: HPPSC HAS Exam 2019 - Apply Online for BDO, Asst Registrar & Other Posts in Himachal Pradesh. Online Applications are invited by Himachal Pradesh Public Service Commission from 17 Jan 2019 to 06 Feb 2019 11:59 PM for 14 vacancies. Pay the Examination Fee through Debit Card /Credit card or Net Banking through “e -Payment Gateway”. For Gen/ UR Candidates 21 - 35 years as on 01.01.2019. A candidate must possess a Bachelor's Degree or its equivalent. A candidate, who has appeared at an examination the passing of which would render him eligible to appear at this examination but has not been informed of result, may apply for admission to the examination. Candidates who have passed the final professional M.B.B.S. or any other Medical Examination equivalent. The selection will be on the basis of Examination/ Viva voce. Eligible candidates may apply online at HPPSC's website (direct link is given below) from 17 Jan 2019 to 06 Feb 2019 11:59 PM. Candidates log on to http://www.hppsc.hp.gov.in/. Go to "Home Page" & Select the desired post. Click on “One Time Registration”, if you are a new user. If student have any query regarding HPPSC Himachal Administrative Service (HAS) Exam 2019 Coaching & Selection Process than they leave comment below comment section as soon as possible we will reply your queries. You can connect with us on FB, Twitter, Instagram as well. Interact with your fellow aspirants about HPPSC Himachal Administrative Service (HAS) Exam 2018-19 and HPPSC Allied Services, Study Material in our discussion forum.